Onion Honey plays original and traditional old-time folk music that sounds like good home cooking with instruments in the kitchen. Home cookin’ hillbilly folk darlings from Kitchener. 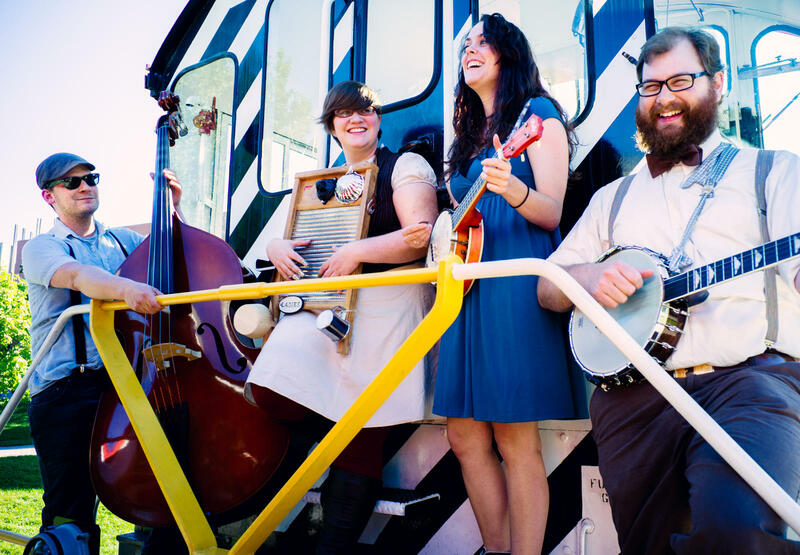 Onion Honey makes folk music, sharp and sweet and mixed in with banjo and mandolin, washboard and guitar, double bass and stomping feet, banjolele and warm three-part harmonies. It’s a recipe for a great time and good for what ails, home-cooked comfort food for the ears.